16 AMAZINGLY USEFUL productivity tools for photographers! 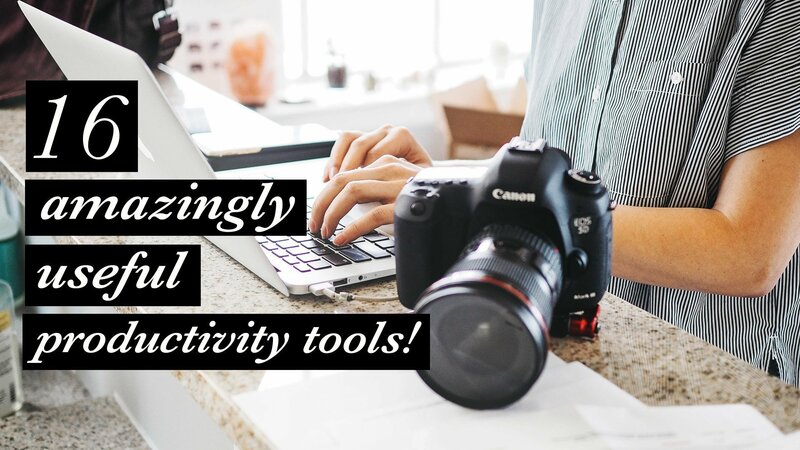 Organize your photography business & get more done with these unbelievably helpful productivity tools! Today we’re looking at 16 unreal productivity tools for photographers that you simply shouldn’t live without. These amazingly useful web tools cover everything from batch emailing & auto scheduling your photoshoots to website seo and putting your social media on autopilot. If you’re a photographer looking for productivity hacks to run a more profitable photography business in less time, todays video is a MUST WATCH. Pinterest Automatic – Auto pin your wordpress post images to pinterest! Yoast SEO – Setup website SEO quickly and easily, with active suggestions for improvement. Pixieset – Beautiful photo delivery via online gallery. Sell prints at the same time! Gmail Undo – Undo sending of emails to fix mistakes & take back those words you never should have said! live without in my photography business. business today is going to be for you. and I will see you in the next one!